No two beards are as famous (or infamous) as those of Dusty Hill and Billy Gibbons. 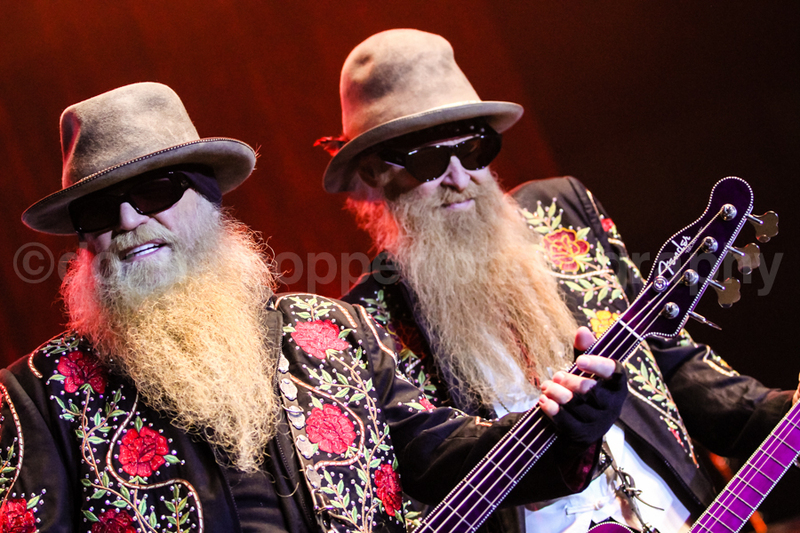 And back in November of 2013, those beards graced the Essar Centre stage for a spectacular night of blues-ified southern fried awesomeness as ZZ Top rocked the house. It was a remarkable night of no-frills straight-up talent from three men who’ve been in the biz for 45 years. You can read all about it here. If you haven’t already, and you’re even the slightest fan of ZZ Top, you must check out the Texas trio’s last record, La Futura. Its lead single, I Gotsa Get Paid, is the finest thing they’ve put to tape in decades. The video is pretty killer, too, full of bodacious babes and hot rods. Naturally. I was pretty excited to be afforded the opportunity to photograph the legendary tres hombres. The full beard gallery can be seen here. Please enjoy responsibly.